Bibi and Trump Who Will Fall First? My professional world at least the journalistic part of it is strangely bifurcated. For Newsweek I write about political, military events here in Israel, as I do for the economic publication that I cover Israel for, but for CEEMarketwatch I spend time following all the main economic stories in Israel. On the other hand, when I appear on TV on i24News or on Radio I return to my roots and my expertise on American politics. 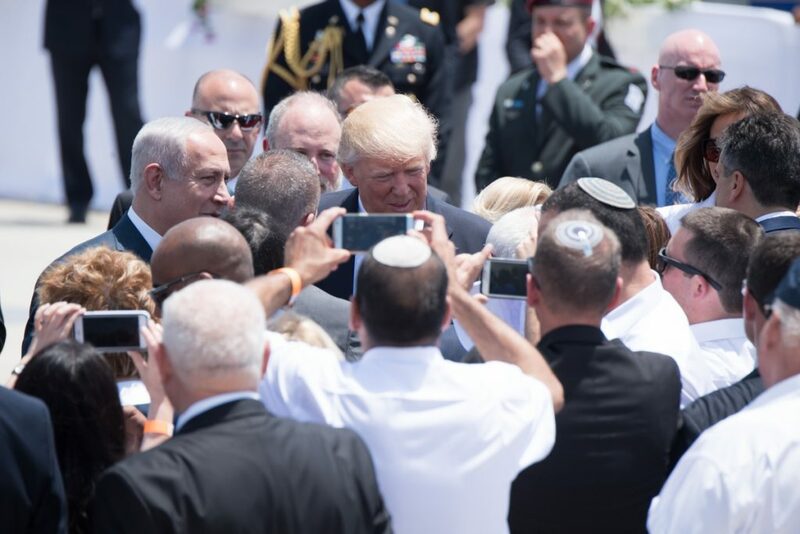 Once in a while, they meet when Bibi visits Washington or Trump comes here. However, at the moment it seems that my two worlds and my two expertise are meeting in a sort of strange virtual way. Both last night on the phone with a friend and this morning when I had my daily get together with a group of friends at the dog park the discussion was who was going to be forced out first, Bibi or Trump. Yes, I know many say it will never happen, and where is the fire? ( well there seems to be a little fire recently) but around both of them the smoke is so thick that somewhere in there, there must be a blazing fire. Here the investigations into Bibi and those around him keep getting deeper and in the case of the latest two investigations much more explosive. There are currently four different investigations of Bibi or people close to him. They are now called Case 1,000, Case 2,000 Case 3,000 and Case 4,000. The first case is where the most direct evidence has already been collected relate to Bibi’s receipt of gifts and other things that were not proper and not reported that apparently come to a cumulative value of $100,000’s. The second case relates to tapes of conversations in which Bibi promised financial benefits to the publisher of the Yediot Achronot if it would publish favorable stories on him and unfavorable stories on his rival. The incentives including having Yisrael Hayom (the Adelson paper) not publish on Friday, something if he was not lying about his connection to the paper he should not have been able to offer. Case 3,000 involves the purchase of submarines and frigates from Germany. The charge is that money exchanged hands from the manufacturer to former member of the Nation security council a lawyer that is Bibi’s cousin and sometimes lawyer and the former head of the Navy. While Bibi is not formally being investigated in this case yet, he was at the forefront of the efforts to buy the subs from Germany and it would seem in retrospect it may have been the reason that Bougie Ya’alon who opposed the purchase was fired by Bibi. Finally, we have the newest case that of Bezeq. It started with the investigation into the purchase of Yes (satellite provider ) by Bezeq. Yes was privately held by the Shaul Elovich, who controlled Bezeq, and it’s alleged that Bezeq bought Yes at a very inflated price and furthermore that Yes cooked its books to ensure that Elovich received the maximum he could. It should be noted that Elovich is a friend of Bibi’s a friendship he tried to hide, and when it was outed Bibi was forced to recuse himself from dealing with Bezeq or its competitors in his role of Minister of Communications a role he insisted on. The investigations took a turn when the hand picked (by Bibi ) Director General of the Ministry of Communication was arrested and interrogated on the charge of acting against the interests of the public on behalf of Bezaq. He has been remanded to house arrest for 14 days. So lots of smoke surrounds both Trump and Bibi. Both have been investigated many times before and both have avoided prosecution. Will they this time? My sense is there is just too much smoke, and in both cases, it will only take one of the lesser defendants to agree to become a state witness and turn on the big boss. At least in the nation that is never boring there is no chance of boredom setting in.